The Bourgogne Aligoté 2017 of the Domaine led by Alice and Olivier De Moor, is born from Aligoté grapes grown in the Yonne Department, more precisely in the Vineyards of the Municipality of Chitry-Le-Fort. It is a dry white wine, with a citrusy nose and a rich, quick, savory and very good depth. 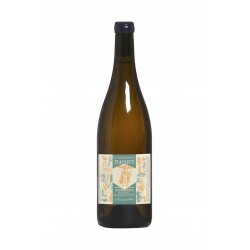 The Bourgogne Blanc 2016 under the name of Vendangeur Masquè produced by da Alice and Olivier De Moor, is made from Chardonnay grapes grown organically by friends in Burgundy. Wine adherent to the typology, which rests 12 months in barrique before bottling and marketing. The Chablis 2016 under the name of Vendangeur Masquè produced by Alice and Olivier De Moor, is made from Chardonnay grapes (also from 1er cru plots), cultivated in bologic, from 1 ha of vineyards cultivated under organic production. Wine adherent to the type, dry and mineral, acid but also endowed with that pleasant butteriness that completes the sip.